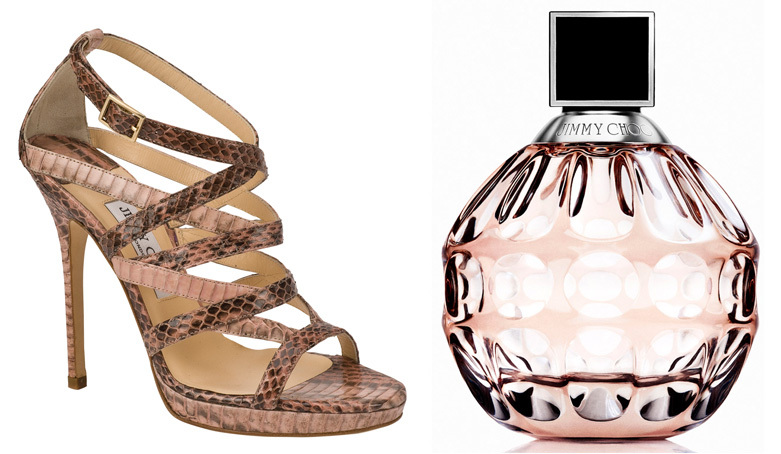 Jimmy Choo’s debut Eau de Parfum is proof that fashion, beauty and design are all inextricably intertwined. Symbolic of the luxury of Jimmy Choo and influenced by Tamara Mellon’s (Founder and Chief Creative Officer) personal taste for antique and modern objects, the exquisite amber bottle is inspired by jewel-coloured Venetian Murano glass, which itself is evocative of the many jewel encrusted Jimmy Choo stilettos to walk the most celebrated red carpets. The faceted, cocoon shape is voluptuously feminine, embracing the sensual liquid inside. “It was very important for me to create a beautiful and precious bottle which is an object of desire that women will want to keep forever,” says Tamara. “I love the way the light and subtlety of colour is reflected through the facets of the glass.” Recognising the importance of marrying tradition with contemporary design, the orb-shaped bottle is capped with a silver-edged black cube, striking a note of graphic modernity. There’s nothing sexier and exotic than snakeskin, a luxe material that has become synonymous with Jimmy Choo shoes and accessories as a deluxe expression of the brand. Inspired by a python skin shoe in the current collection, snakeskin now lends itself to decorating the outer box that envelops the fragrance flacon. Realized in the house’s vintage rose tone, the box, with its chic brand monogram, alludes to the ultimate desirability of the fragrance inside. The fragrance itself is a modern Fruity Chypre with warm, rich, woody depths. 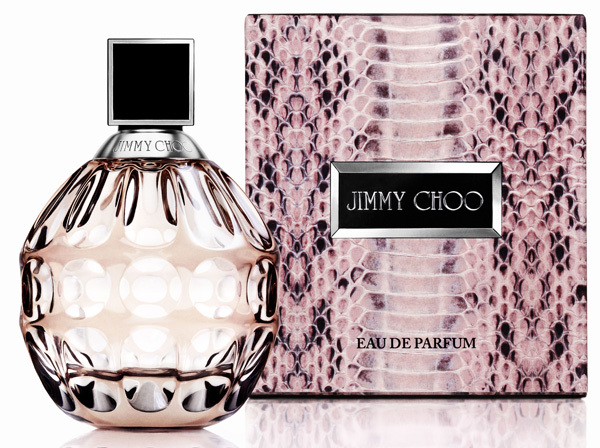 With its green top note, heart note of tiger orchid, and base note of toffee and sensual Indonesian patchouli, it comprises equal measures of female empowerment and elegance, evoking glamour, confidence, desire and refined sexuality that perfectly captures a piece of the Jimmy Choo dream.